Choosing Joy: Rhett is 4 Months Old! Rhett is 4 Months Old! My Rhett Joseph turned 4 months old last week (6/20). He had his 4 month check up yesterday. This post is mostly for my memory! -He is in size 1 diapers and 0-3 mo clothes. There are still some newborn onesies he can wear too. 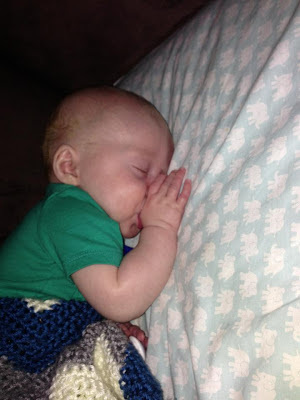 -I am still swaddling him in his rock n play at night, and our ped recommended I still do that as long as he will tolerate it (up to 6 mo) because it decreases the risk of SIDS tremendously since he can't roll over in it. -He still is completely breastfed. Some of those sleepless nights around 3 months I seriously considered adding cereal to his bottles or giving him formula to help him sleep, but he is proof that if you stick with sleep training, even a completely breastfed baby can sleep through the night by 4 months! -He has seriously become the happiest baby. 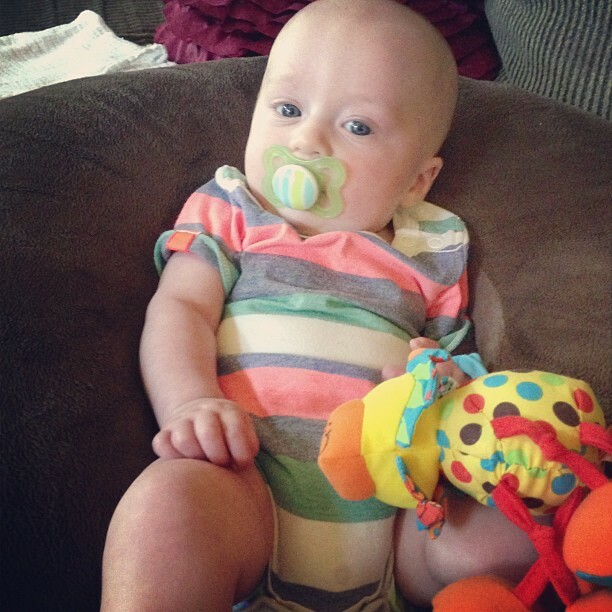 He loves to be propped up on the boppy and play with his taggy blanket and just watch us. The one thing he does not like is his car seat! Lordy, the day can't come soon enough that we can turn him to forward facing! -He does great lifting up on his tummy and holding his head up, I think he will be sitting up in no time! -I never ever could have imagined loving another child as much as I loved Hudson, but I think God makes your heart grow so that you can hold enough love for both, it is incredible. 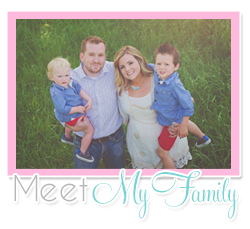 -As the days pass, I get more used to the idea of only having two little boys... but in my heart I think I know that Rhett isn't my last newborn, but we shall see what the (far distant) future holds. -I am currently still working Friday nights, and it has been wonderful. In August I will start Sunday nights, so the boys will go to MDO while I sleep on Monday. I think it will work out better for us because it won't mess up every Saturday. 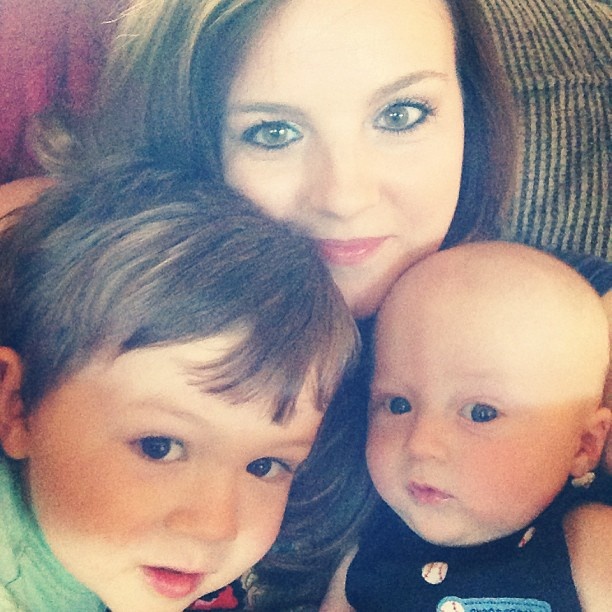 I am loving being the momma of two baby boys. 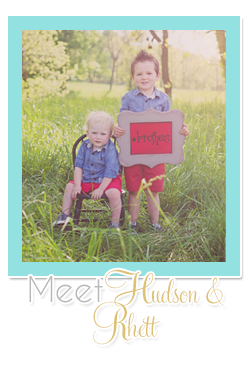 I know I will be writing his 5 month post (and Hudson's 3 yr post) before I know it! Oh girl...that bottom picture- they are your mini-me's! So sweet!